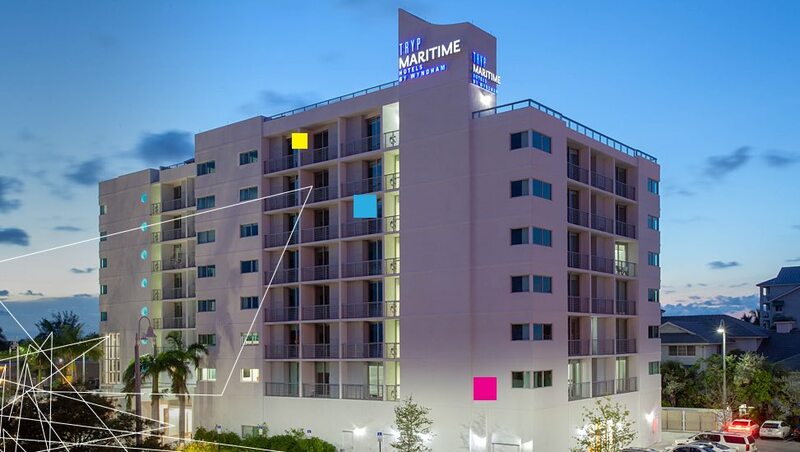 Nestled in the 25-acre Marina Bay Resort on the New River, TRYP by Wyndham Maritime Fort Lauderdale takes its lifestyle cues from South Florida’s culture of boating and outdoor, on-the-water recreation. Soaring eight stories at the water’s edge, our boutique hotel’s distinctive architectural sail and sleek nautically inspired facade make it an unmistakable new landmark on the Marina Mile Boulevard. From the aquatic fish tank in the lobby to the tranquil Zen Tea Garden and koi pond, it’s a sensory experience designed to captivate boaters, business execs, and on-the-go explorers—the place to stay in Fort Lauderdale.